ACCT continues to publish time-sensitive reports and white papers that cover issues about which trustees need to know. 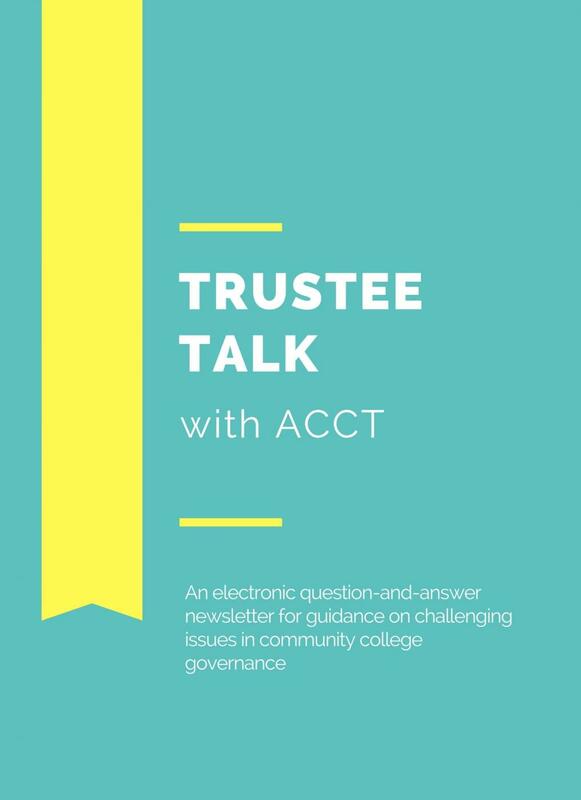 Trustee Quarterly magazine is the official publication of the Association of Community College Trustees. The magazine is designed to help our member trustees govern their colleges better. 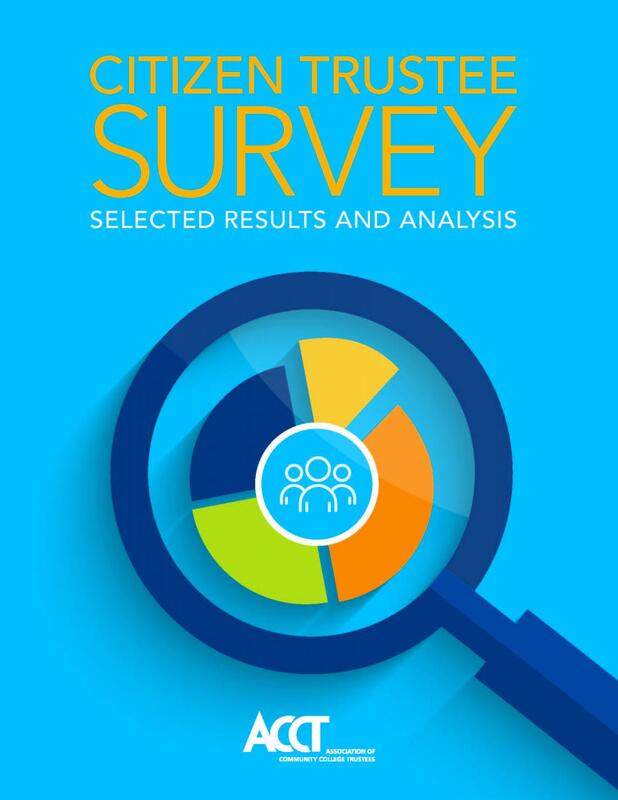 From 2017 to 2018, the survey was disseminated to trustees across the country including members and non-members of ACCT. 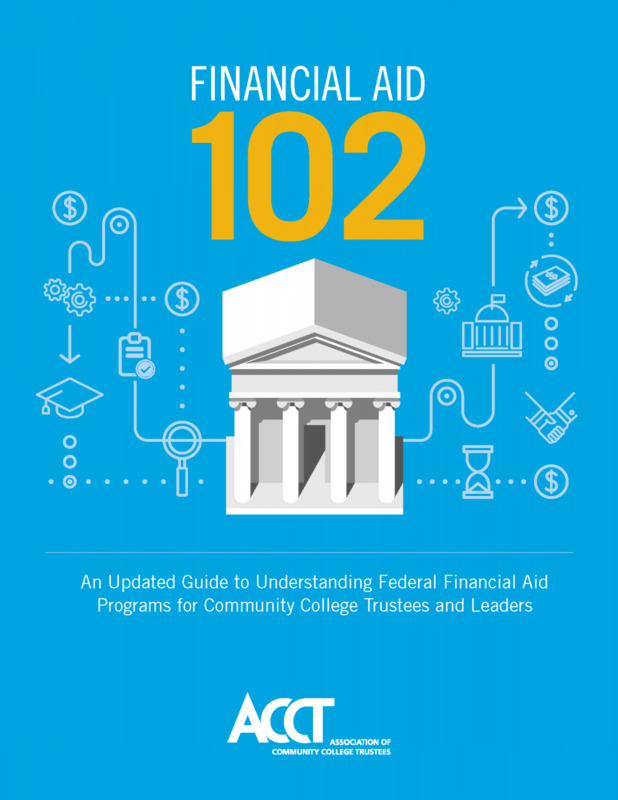 ACCT is the only national publisher of books dedicated to exceptional community college governance. 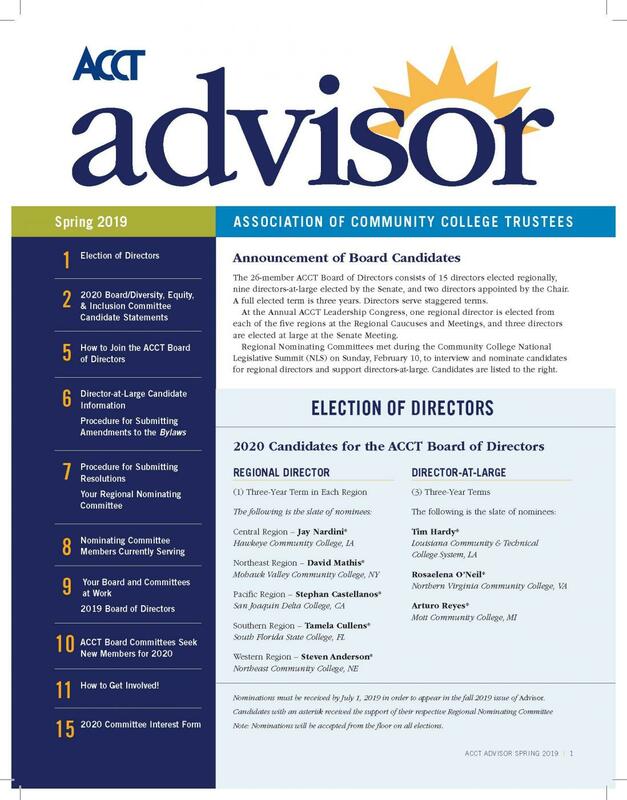 Advisor provides members with information about the ACCT Board of Directors and committees, including nominations processes and deadlines, candidate biographies, and election procedures and results. 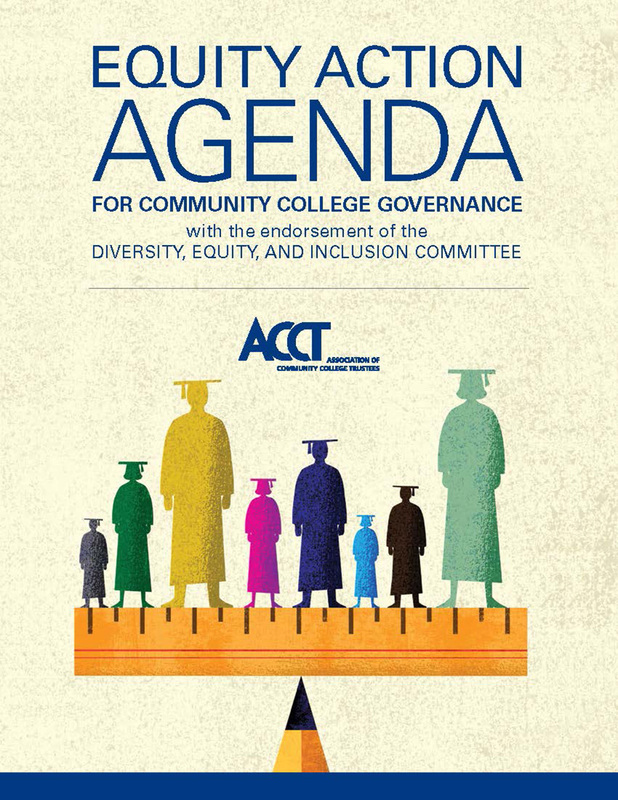 ACCT’s Equity Action Agenda for Community College Governance is a guide based on the responsibilities of community college trustees and the college’s leadership to promote policies that support access, affordability, equity and completion for all community college students. College diversity, equity, and inclusivity policies facilitate academic progress and economic and social mobility for all. 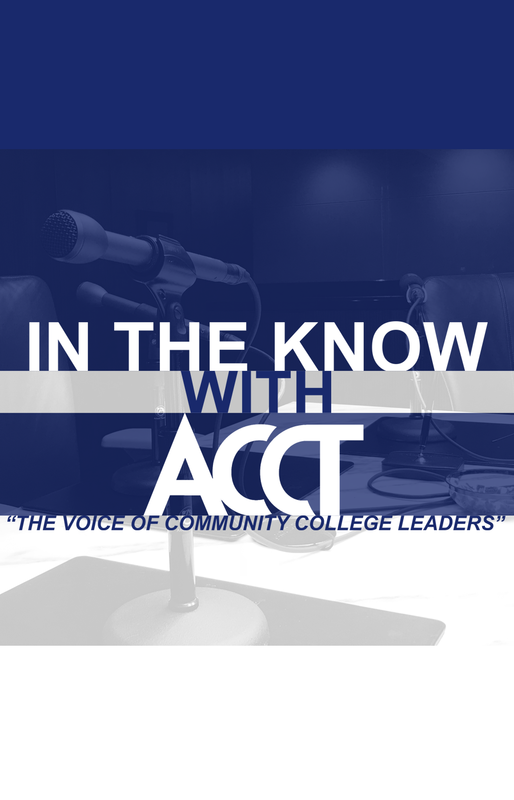 Whether you’re a community college trustee, a president, a policymaker or someone with a passion for the community college movement, ACCT’s podcast is designed to get you in the know. 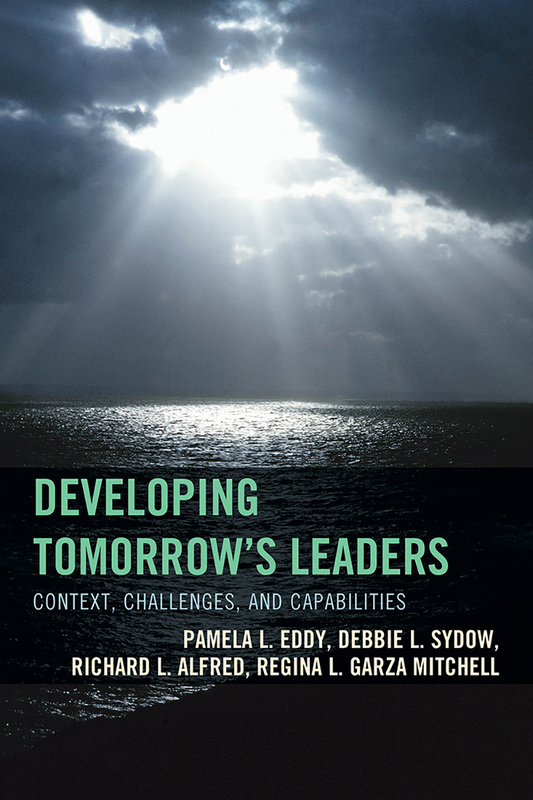 The Futures Series on Community Colleges includes six books that offer insight into and guidance on topics that must be addressed today in order to meet the needs of tomorrow’s community colleges and their students.